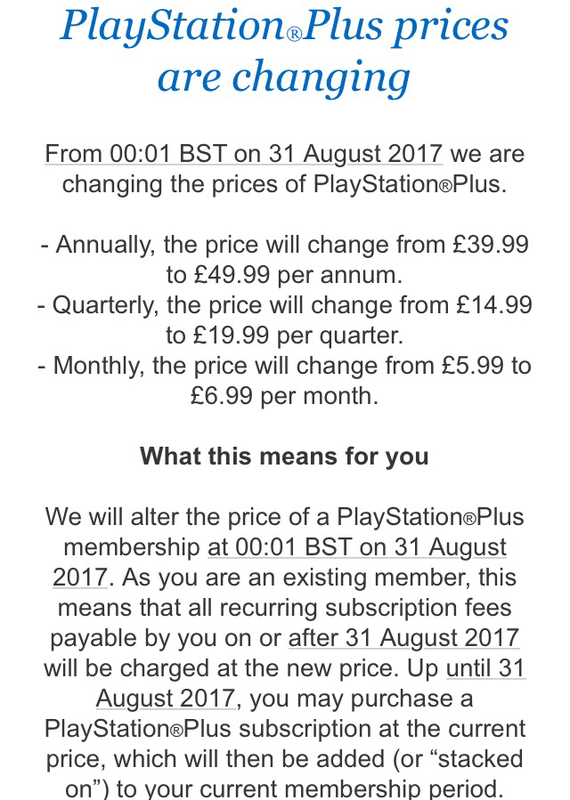 Attention all PlayStation plus subscribers; in an email sent out today, Sony informed us that from August 31st the price of the service will be increased. It’s a hefty increase that brings the EU price above that of the US (once again). My advice is to get that sub stacked up guys, do it now before it’s price gets jacked up! I saw this too. I wonder what benefits we’ll get for all that extra money. Nothing you say?